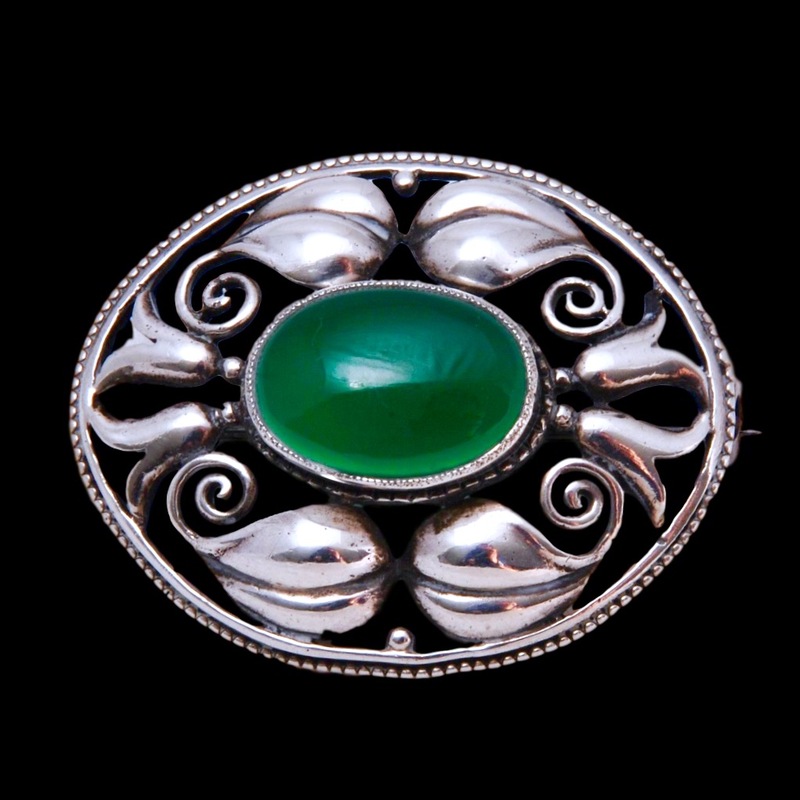 A lovely brooch by Theodor Fahrner in silver set with a very good green chrysoprase stone. 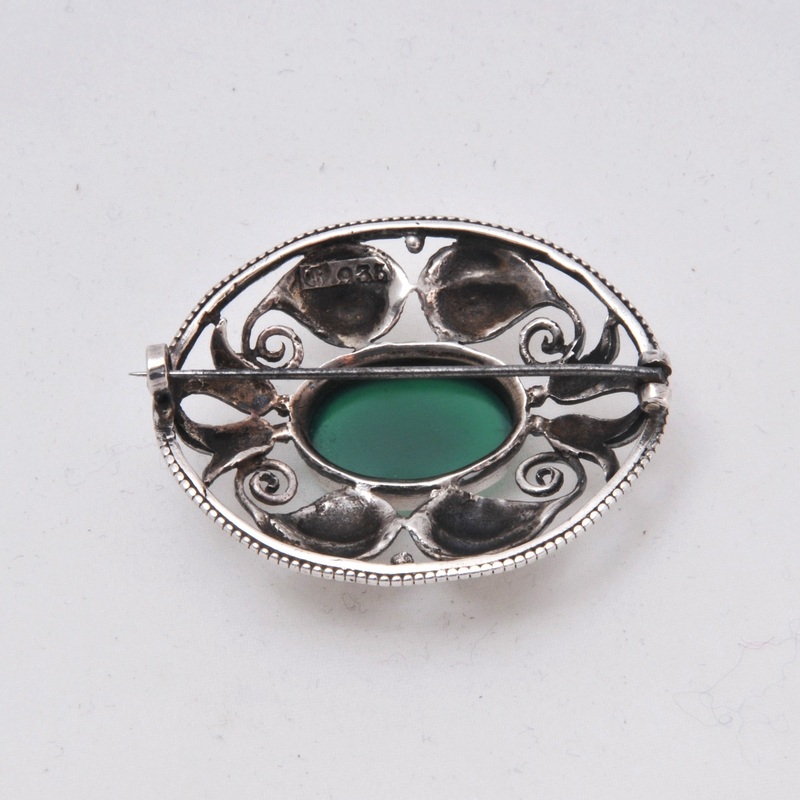 It shows the influences of Ashbee’s Guild of Handicraft from the UK and Josef Hoffman and Koloman Moser of the Wiener Werkstatte. 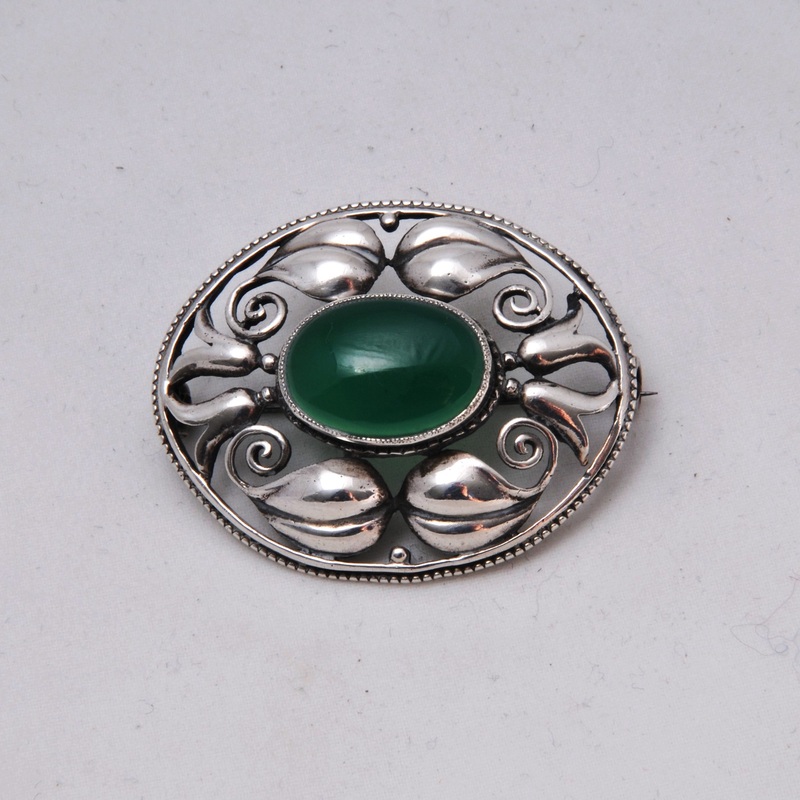 The brooch is hallmarked 935 silver standard with the Theodor Fahrner monogramme .